*We will accept diapers that need some repairs: including new elastics, snaps, or Velcro. We will NOT accept diapers with damaged PUL. 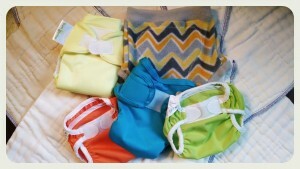 – Anyone who would like to try cloth diapers. The fee is $20 for a package of 10 diapers. This fee will cover replacement parts for donated diapers and stripping/bleaching/cleaning costs.